You choose the method of communication. For instance, you do not need to use a webcam or even audio chat if you would prefer not to, instead instant message or email can be utilised. For some, choosing not to use a webcam can increase your sense of privacy. This can make therapy seem less daunting. Indeed a recent study by Dr. Tim Kendall found that some people find it a big relief not to have to face a therapists. Although personal details may be required for crisis situations, online therapy provides a greater sense of anonymity for the client. This greater sense of anonymity allows the client to open up more fully to the counsellor. As a client you don't need to worry about sitting around in a waiting room awkwardly, wondering what the secretary thinks of you, or who the clients people are, or how uncomfortable chair is, or how cold the room is. Therapy takes place in the comfort of your home, or where ever it is that you are comfortable. 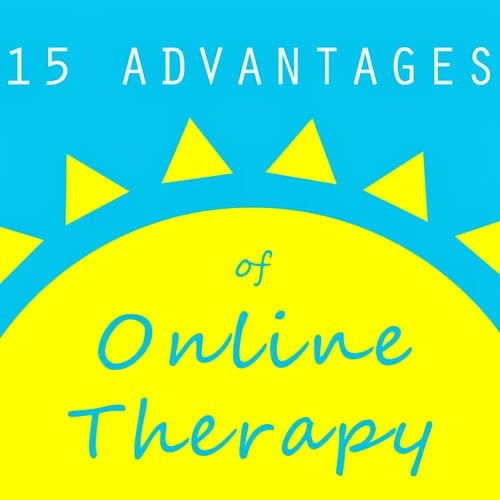 Online therapy is a great way to ease into therapy. If you are too afraid of visiting a therapist face to face, why not start by simply sending an email? Gradually you can build up to online therapy and, if you wish, face to face therapy. Online therapy doesn't require you to travel to a local therapist. There are a number of reasons why you may not be able to travel to a local therapist, for example: energy levels, fear, weather, inconvenience, disability, lack of transportation, or lack of a suitable therapist in your vicinity. Attending e-therapy is easier and less time consuming. Not having to travel to attend therapy means your time and energy is used more effectively. Because the internet means you are no longer limited to selecting therapists in your area, you can choose a therapist that better suits your needs, regardless of their location. Online therapy can also be more affordable than traditional therapy as it cuts out many overheads for the therapist. These overheads include the cost of renting expensive counselling space and also the therapists travel costs. These savings can then be passed on to you the client! You also save on the cost of transportation, meaning your overall savings are further increased. Using digital platforms can also mean that materials are easier to manage. Using digital files means that you no longer need to worry about a worksheet getting lost or damaged. If something happens to your printout, you can simply print it out again from the electronic file sent to you by your therapist. Equally if you run out of space or want to start an exercise again from scratch, having the electronic file makes this easier. This is particularly useful for CBT activity sheets. E-therapy means that couple therapy can be performed even for long distance relationships. This is also true for families living apart. Long distance relationships or families living apart can receive therapy together, even if they are living in completely different countries. As long as you have internet, your therapist is easily accessible no matter where you go. This is particularly useful if you move to a new town, go on a business trip, or if you need support during a holiday. Of course, therapy is always your choice, but you have more options now than ever before. It is also easier than ever to change therapist. This can be important as you might not necessarily find the right therapist for you straight away. If you feel you would like to try a different therapist, it is easier than ever to find one. You can arrange a time that suits you better. When searching for a traditional therapist, you may be limited to certain times of day, when they are available or working. However, with online therapy, you may be able to find a therapist with an availability that suits you. You can even have therapy with someone in a different time zone if it makes therapy more convenient. Often it may be possible to get a sense of who your therapist is before therapy begins. Often times for traditional therapy clients have no idea what their therapist is like before they meet them. Perhaps all they know about their therapist is their name. However, some e-therapists will have well developed websites, a blog like this one, a podcast or even videos. 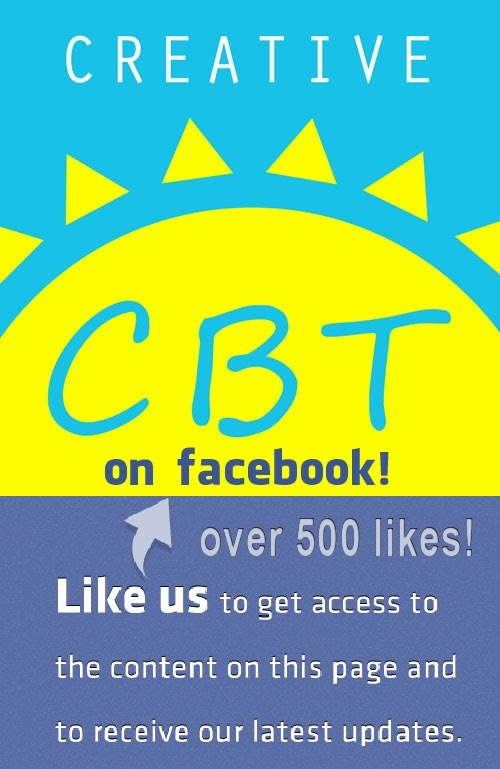 This gives the client the opportunity to find out a little more about their therapist before they commence therapy. I'll keep expanding this list of reasons to try e-therapy/advantages of e-therapy, if you have any suggestions, feel free to suggest them below!